If Total Drama Characters Were Real Part 2.. . HD Wallpaper and background images in the L’Île des défis extrêmes club. This L’Île des défis extrêmes photo contains anime, bande dessinée, manga, and dessin animé. There might also be vitrail. 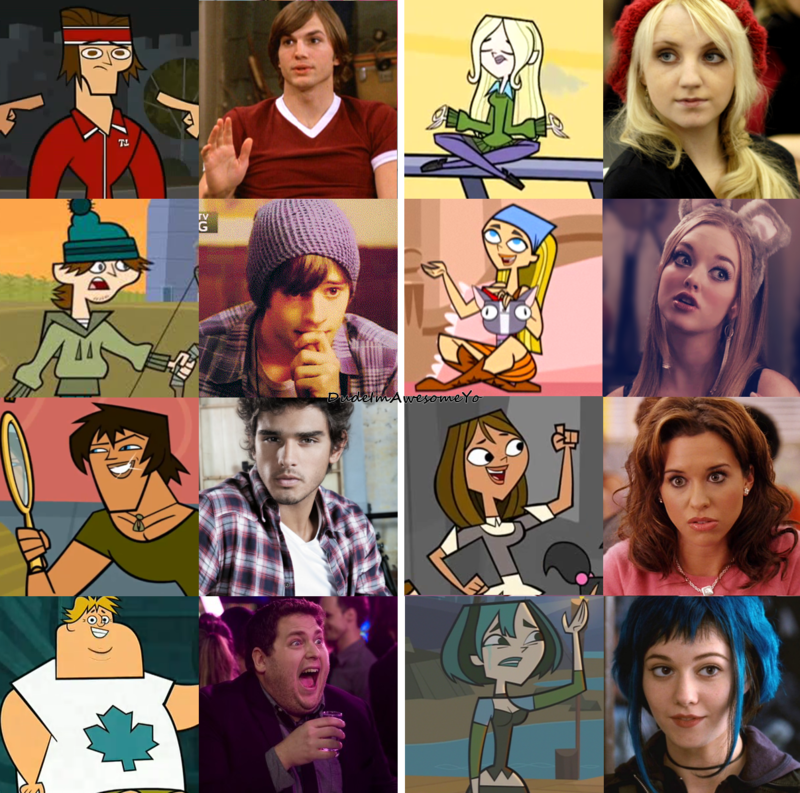 I absotively agree with the Gwen one. Who's going to be Chris?Dee Bradley Baker? I agree with Tyler, Dawn, Lindsay, maybe Ezekiel and a little more than maybe for Gwen. I have no idea with Justin and Courtney, and I don't like the one for Owen. I think it's cool how accurate a lot of the pictures are, though. Dawn could be Allison Harvard, but Luna Lovegood's good too. 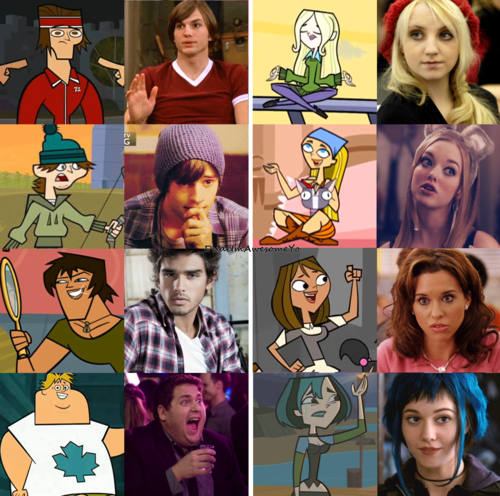 The girl that looks like Gwen is from Scott pilgrim and in that moive her name is Ramona . I spy with my little eye... Katie! Ashton Kutcher is totally like Tyler!